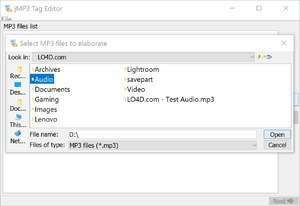 jMP3 Tag Editor is a simple and easy to use application that you can use to edit audio tags and batch rename audio files. The program extracts ID3v1 and ID3v2 mp3 tags and allows you to edit each field. It also enables you to resample the mp3 files using LAME MP3, as well as change the sample frequency, the bitrate and the output quality. For security reasons, you should also check out the jMP3 Tag Editor download at LO4D.com which includes virus and malware tests. Additional screenshots of this application download may be available, too.